I love nothing better than sharing what I have learned with those men who are eager to live a life of Success and Significance. If this sounds like you, we need to connect. 1. Search my site. I have written hundreds of blog posts and interviews which you can find on this site. Chances are, I may have already addressed your question or issue. 2. Connect with me on Social Media. I'm on Facebook, Twitter, YouTube and Linkedin. 3. Subscribe to my updates. Each week I publish blogs and am interviewed on audio and video. You can choose to get them as soon as they publish or in a weekly summary I send out each weekend. Subscribers always get first access to resources and products. My focus is on helping men in their personal business and spiritual life. By subscribing, you’ll get my latest thinking delivered straight to your inbox. Just enter your email at the bottom of this page. Simply enter your email address in the box on the bottom of this page and you're all set. 4. Buy one of my products. They represent my best thinking on various topics, including productivity, understanding yourself, and growing in success and significance. I have several other products in development, including a new book. 5. Join an Iron Sharpens Iron Mastermind Group. I lead paid mastermind groups for select, qualified, high-achieving men. It involves weekly online group video calls, a private community site and email access with me. If you would like to apply click here. 6. Do a Deep Dive session with me. If you need clarity or direction in your life today, we can do a Deep Dive session. 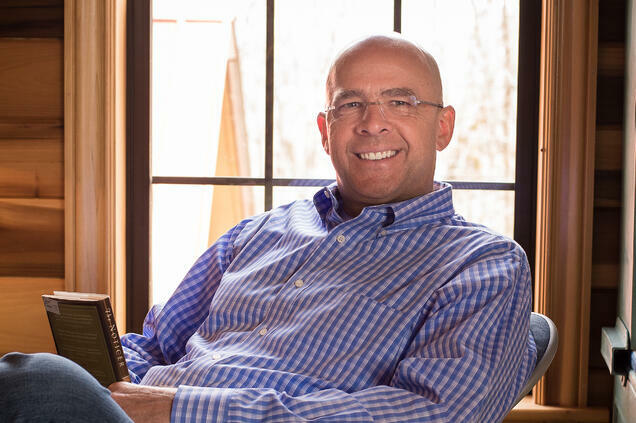 I will work with you 1-on-1 to formulate customized strategies and share unique insights just for your life: professional, personal and spiritual. You’ll walk away with executable strategies and enduring value, ready to take your business to the next level. You can get more info here. 7. Hire me as a personal coach. I love one-on-one coaching, but I have limited time available for it. Therefore, I am very selective. But if you think you could benefit from one-on-one interaction with me check out the various individual coaching packages I offer and email Brooke, my assistant. Did you know I have also associate coaches who work with me? If you have something else in mind, other than what I have outlined, feel free to email me (Aaron@ViewFromTheTop.com). Someone on my team would be happy to talk with you. 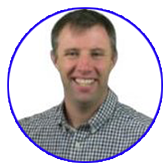 "Aaron brings to the table not only his personal experience, but also his integrity and passion for helping people. You can be confident that your time spent with Aaron is going to change your level of success". "If you're seeking someone to tell you the truth with the right kind of wisdom...then you've got the right guy. Aaron Walker is a prince." "As a 30-year-old who has owned his own company for over 10 years, I was looking for a business/life coach with integrity, compassion, and wisdom; someone who wouldn’t be afraid to correct me when I’m wrong. But most importantly, I was looking for a man with a firm foundation in Jesus Christ. 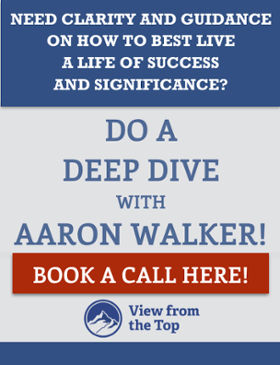 Aaron Walker has coached me to dig deep and see the value on the important things in my business and personal life. I cannot put in to words how valuable it is having Aaron to coach me through the biggest decisions I will make at this phase in my life." "Aaron is a guy I want in my inner circle. I'm all about ISI, iron sharpens iron, the mastermind itself. I just know that Aaron is the person to lead that mastermind. If you're even thinking that you need to be part of a mastermind, this is the one. Aaron's the guy, the actual guy himself. He's just a blast to work with."